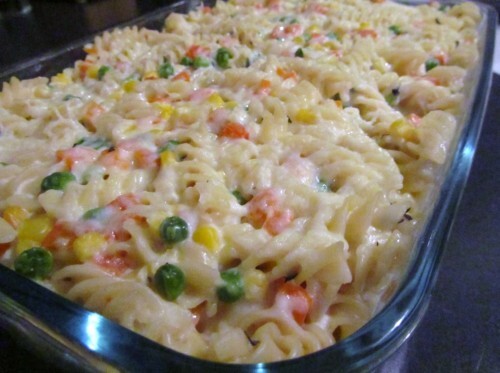 Easy Pasta Bake Recipe – Easy Alfredo Sauce Recipe – Alfredo Pasta Bake | Cook Eat Delicious! Any Pasta I love. Red sauce, tadalafil white sauce, online green sauce, mind no sauce. I love pasta. I love pasta bakes too. Pasta bakes are always cheesy and ooey gooey. 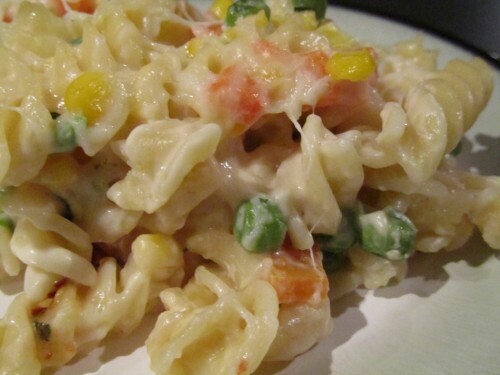 So if you love pasta and cheesy goodness than you will love this Fusilli Alfredo Bake. 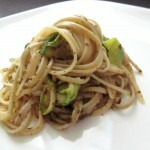 It combines simple ingredients for great flavor. 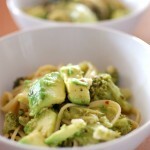 Mix in some veggies so it seems a little healthy and voila, you have got something good in your oven! 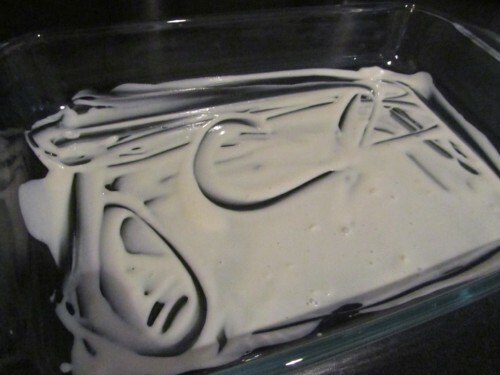 Delicious Rating: This easy recipe is so simple to make. Serve with a salad and some bread and you are good to go with a fast and delicious dinner. The creaminess is in every bite and the vegetables are aplenty. I added a little more red pepper flakes for real heat but you can do it according to your taste. 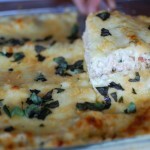 This delicious cheesy delight is a must in my house! 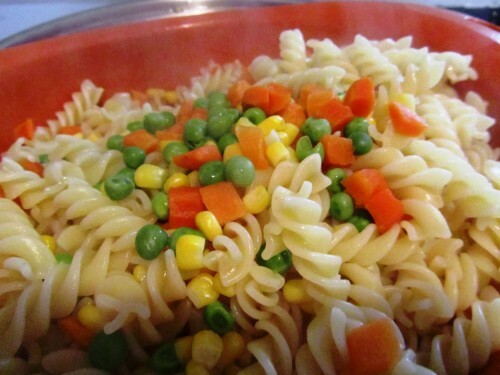 Cook Pasta and add in frozen vegetables to boiling water 2 minutes before pasta is done. 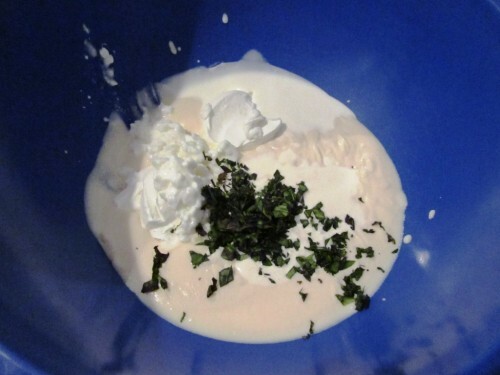 In a large bowl combine Alfredo sauce, sour cream, ricotta cheese, and basil. Lightly oil a 13x9 baking dish and add a couple spoonfuls of sauce to bottom. 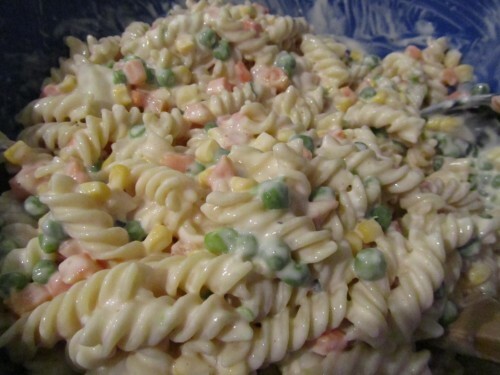 Toss pasta and veggies into large bowl with sauce and evenly coat. 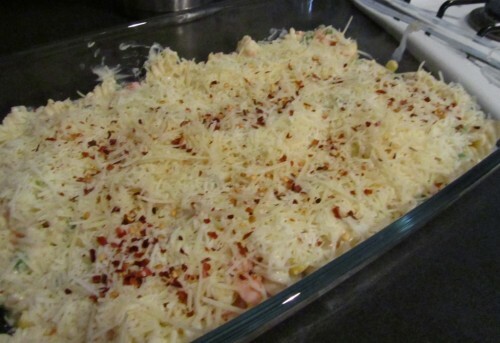 Place half the mixture in baking dish and cover with 1 cup of mozzarella cheese and red pepper flakes. Repeat with remaining pasta and cheese. Cover top with Parmesan cheese and bake for 30 minutes. 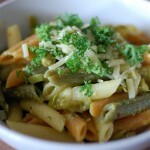 If you want to add different vegetable the recipe is perfect for mix and matching. 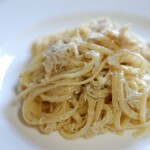 I think mushrooms would go great in this dish or even sun dried tomatoes! The middle layer of cheese gets all gooey and delicious when baking. Hope you like it Sven! 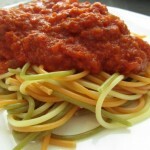 This is great for a quick dinner. Will keep alfredo sauce jar in pantry now. Thanks. Added garlic powder, onion powder, and lemon pepper to this. Served it along with sauteed spinach. Very good. I love the addition of lemon pepper, I will definitely have to try that, thanks Alexis!